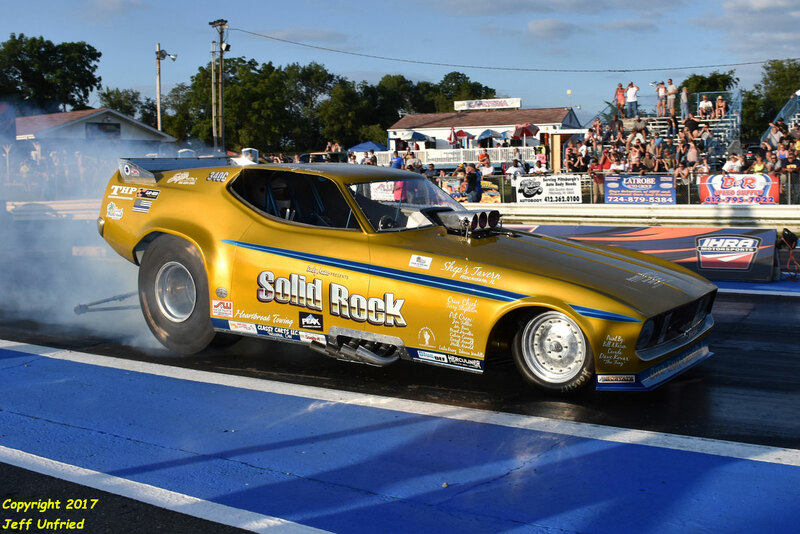 Solid Rock is an original Pelligrini '71 Ford Mustang body on a Palamides/Daniels/Ausec 125 inch wheelbase chassis. 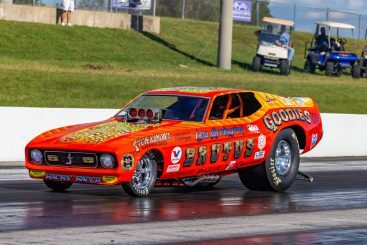 Thunder provided by a 540 cubic inch big block Chevrolet with an 8:71 Supercharger hooked to a Turbo 400 3-speed transmission. 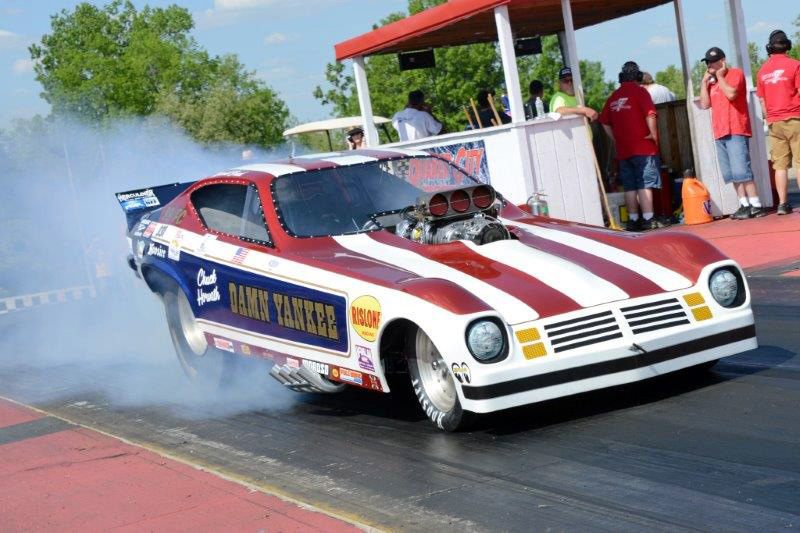 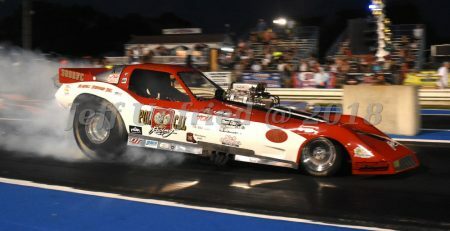 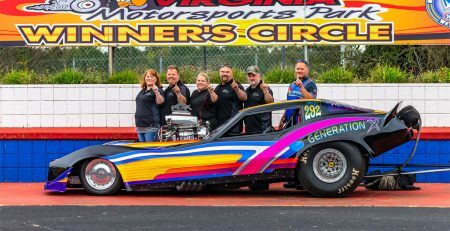 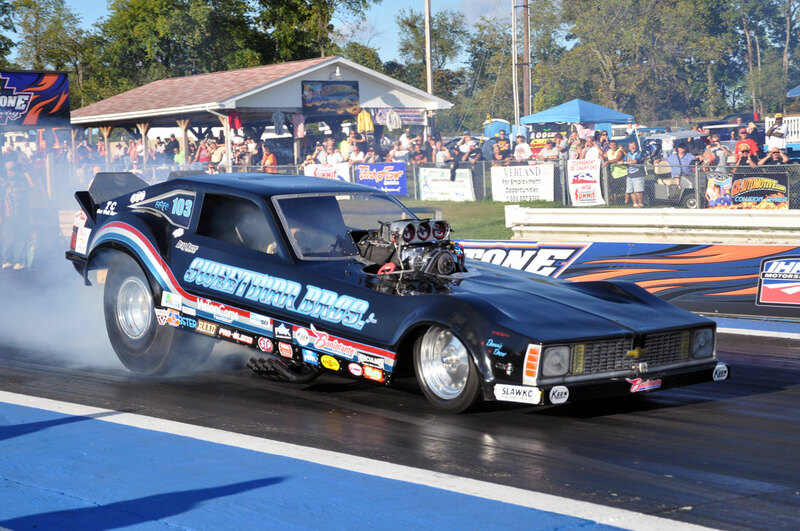 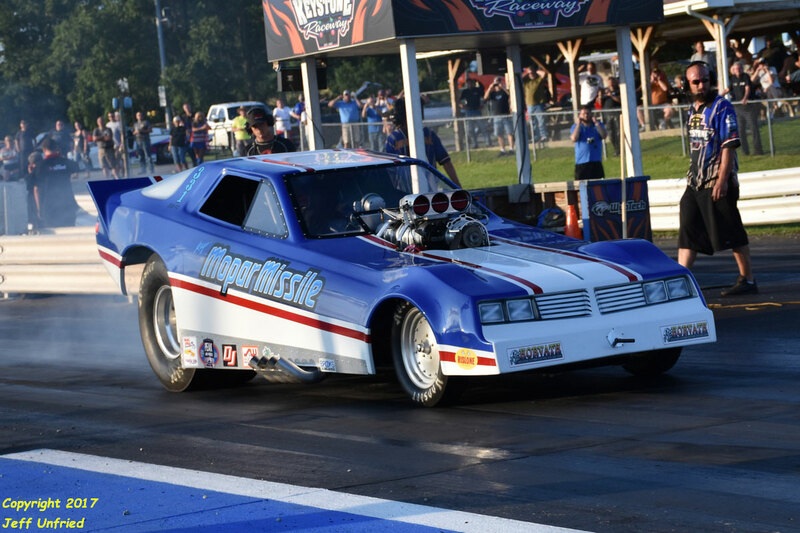 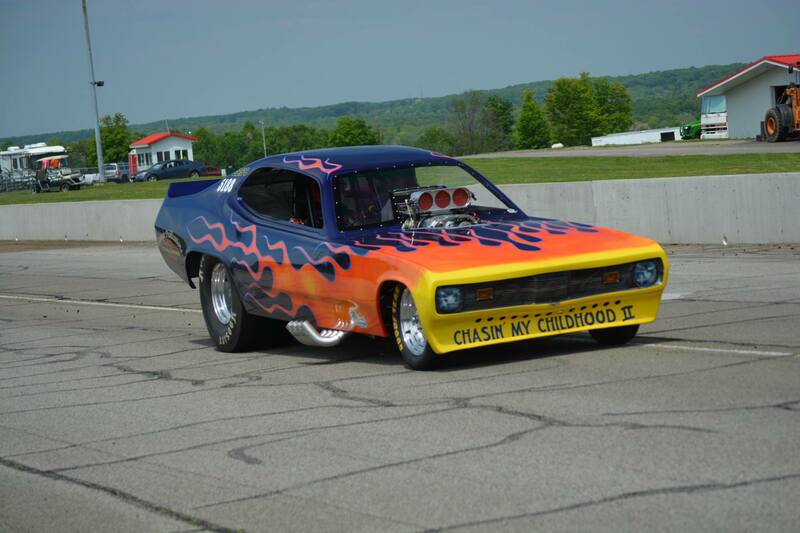 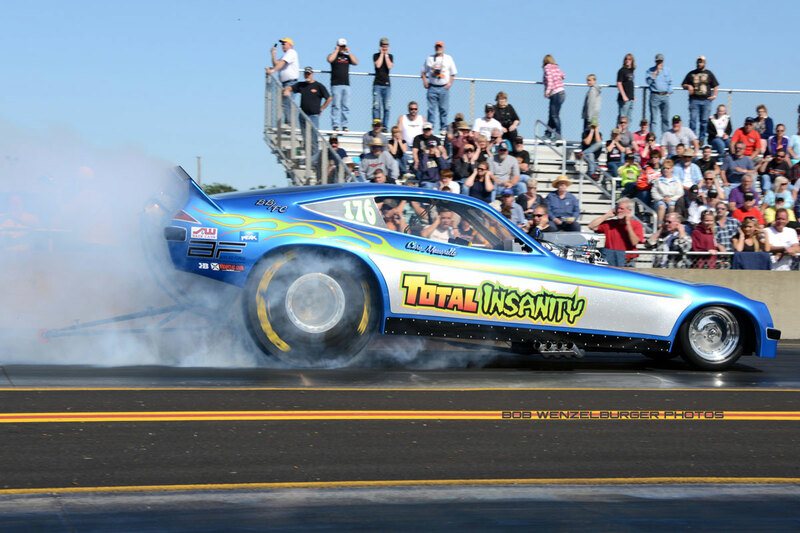 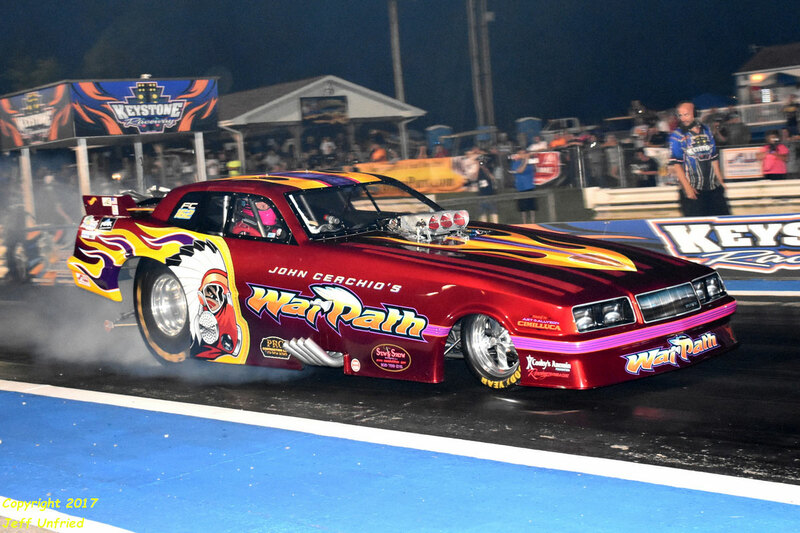 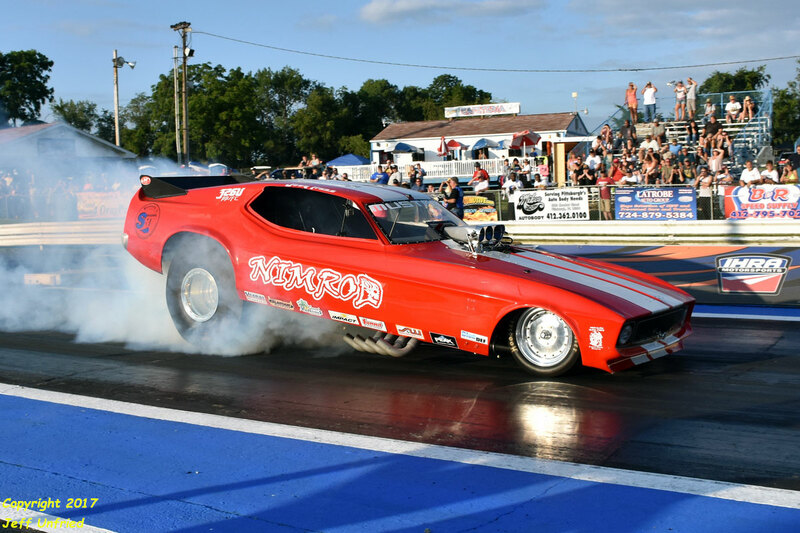 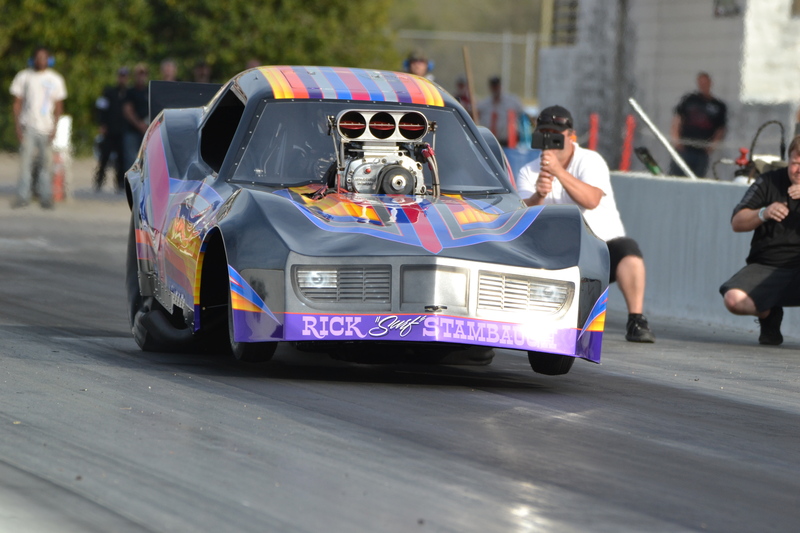 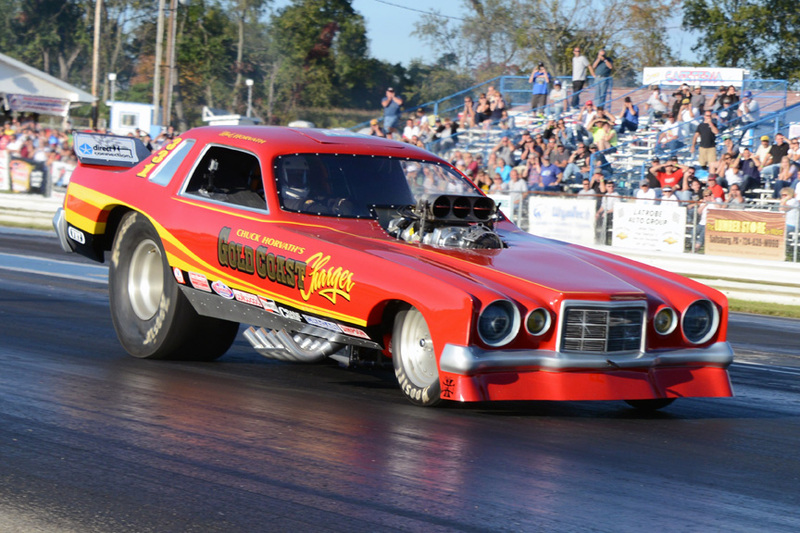 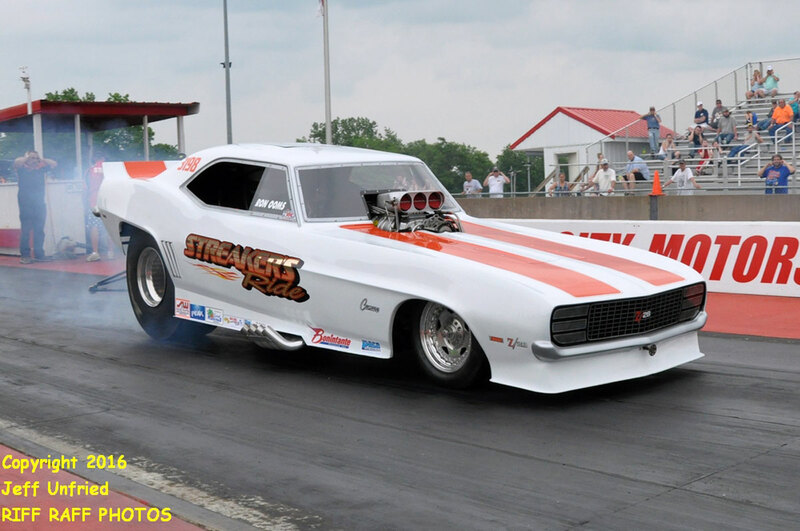 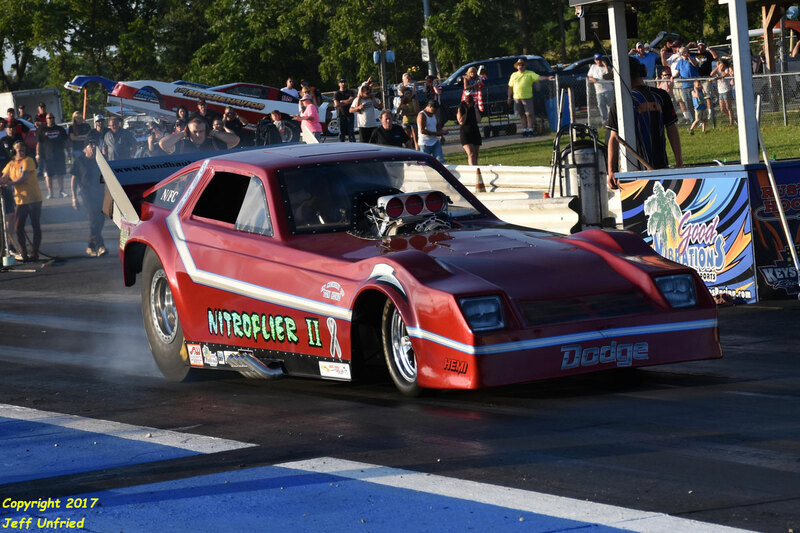 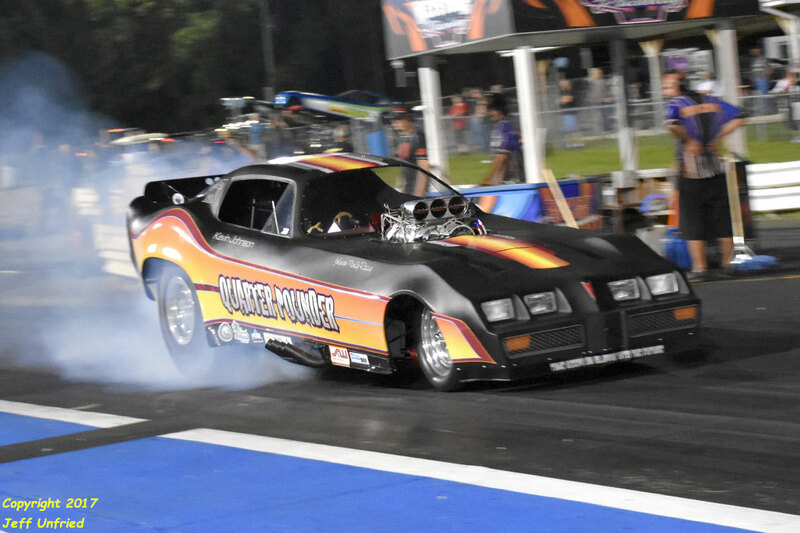 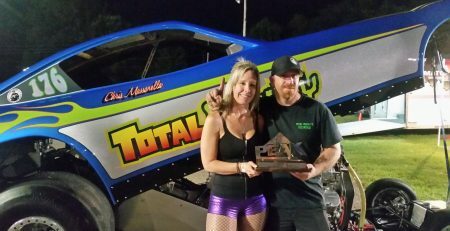 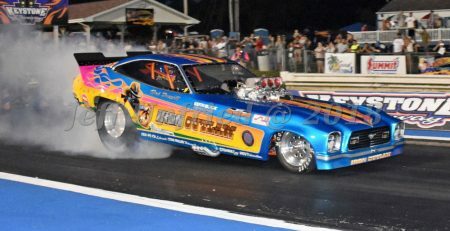 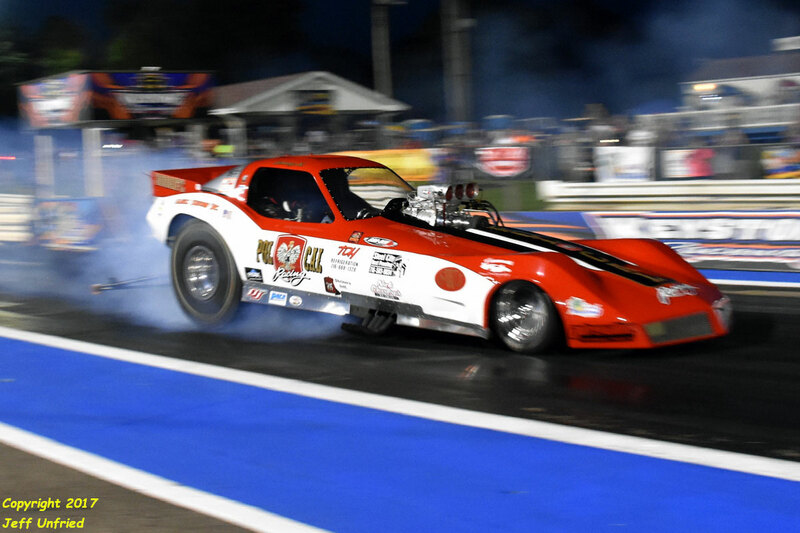 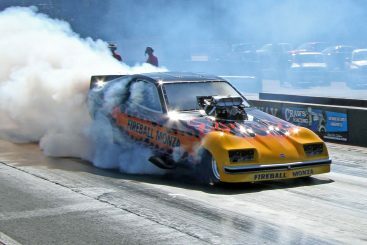 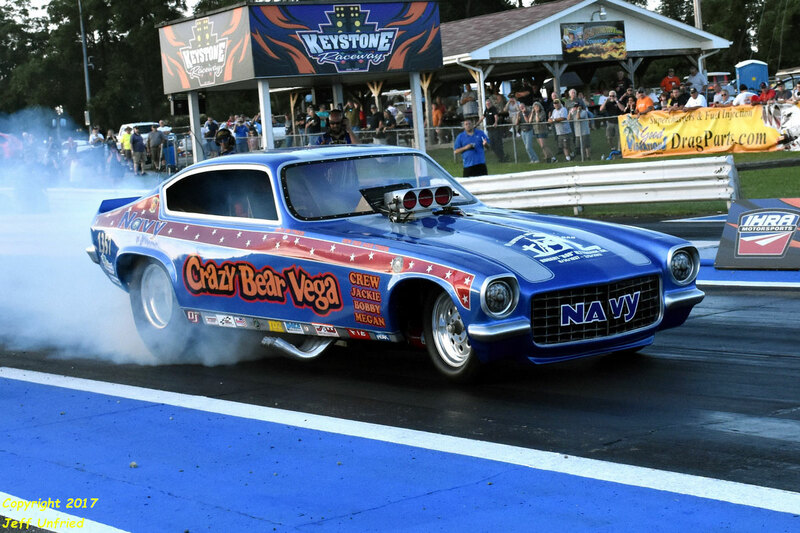 Charter member and 7-term president for the Midwest Funny Car Association. 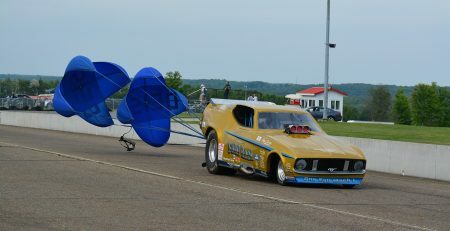 Tom Motry, Larry Kargol, Merle Mangles & Tom McKeon.